In today’s fast paced age of innovation and technology, it's refreshing to know that one of the nation’s many treasures of history and tradition is right here in Louisville! M. A. Hadley Pottery is still making pottery the old-fashioned way…hand made! The exact same way they were doing it in 1940! From start to finish, every single step of the manufacturing process is done by hand. Mary Alice Hadley was an artist who began working with pottery in the early 1900’s. After learning the craft from her family of tile makers, Ms. Hadley worked for a while at another Louisville pottery facility prior to opening her own gallery in 1940 with her husband George. Hadley Pottery is Made the Same as it was in 1940! Her method of pottery design and making quickly became popular and Hadley Pottery has become a favorite of pottery fans and collectors around the world. You can still feel Ms. Hadley’s presence at the plant through her many drawings found on various walls throughout the facility and her spirit still seems to roam the halls. M.A. Hadley Pottery is now owned by Jerry and Josh Day. Jerry and his son Josh bought the company in 2018 and continue to make pottery in the same way Ms. Hadley did many years ago. Jerry’s father and grandfather worked at the company for Ms. Hadley and they have kept the tradition intact for four generations now. The process at Hadley Pottery is fascinating to watch. Everyone who works here contributes his or her own significant input into the finished product. Whether mixing or drying clay, hand painting designs, attaching handles, making molds or loading the kiln everyone makes their contribution by hand. Once the clay soil is dumped into the basement at Hadley Pottery and begins its journey through many hands at the factory, it is cleaned and prepared for the casting process. The clay used is run through several processes including a vacuum and hydraulic press to remove air and impurities from the clay. The clay used at Hadley Pottery is from Clay City, near Terre Haute, IN. The clay is eventually poured into molds that will form the cup, bowl, plate, other household item or decoration. If cups need handles or vases need to have their seams smoothed out the handles will be attached or seams smoothed by hand. Each item will be painted by hand while the clay is soft so that the paint gets absorbed into the clay. Hadley Pottery is internationally known but made right here in Louisville. This historic company is another strong thread woven as a part of the personality of the city. The famous works of M.A. Hadley Pottery are appreciated locally and are also very popular on the east and west coasts. Hadley Pottery also enjoys a strong online retail business to an even broader customer base. The beauty of an authentic piece of Hadley Pottery will certainly enhance the ambiance of any home and they have created a vast array of products and designs to fit most household needs. They also create products for pets and many holidays and these pieces are always popular. In addition to their showroom, Hadley Pottery offers tours of the facility and it is very fascinating to watch this well organized team work their magic as they transform shapeless clay into treasured household items. You can see the process from start to finish with each step of the process enthusiastically explained. 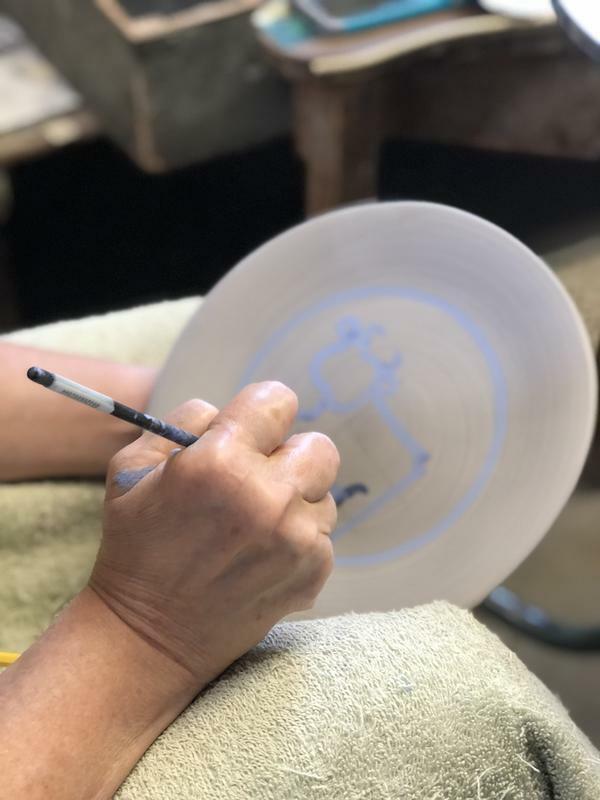 You’ll have a whole new appreciation of your treasured Hadley Pottery after seeing them created. 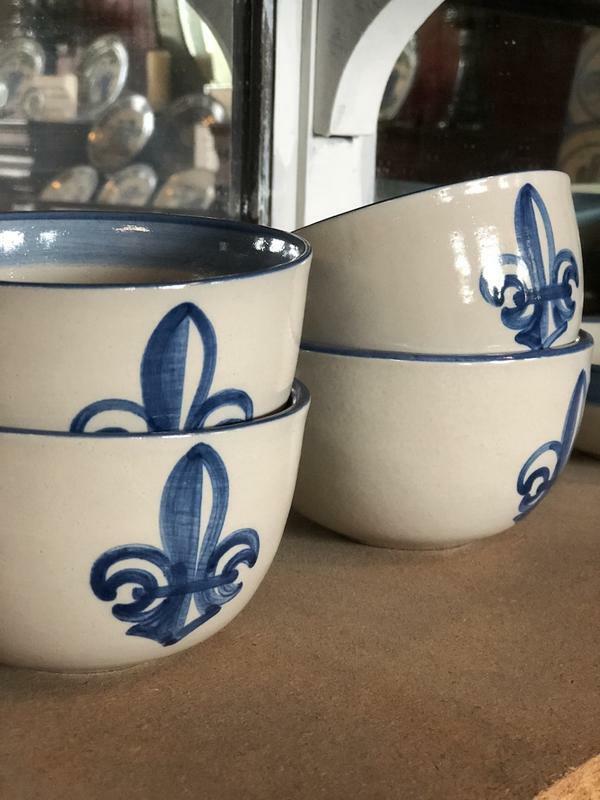 Hadley Pottery has been operating quietly here in Louisville for over 75 years. 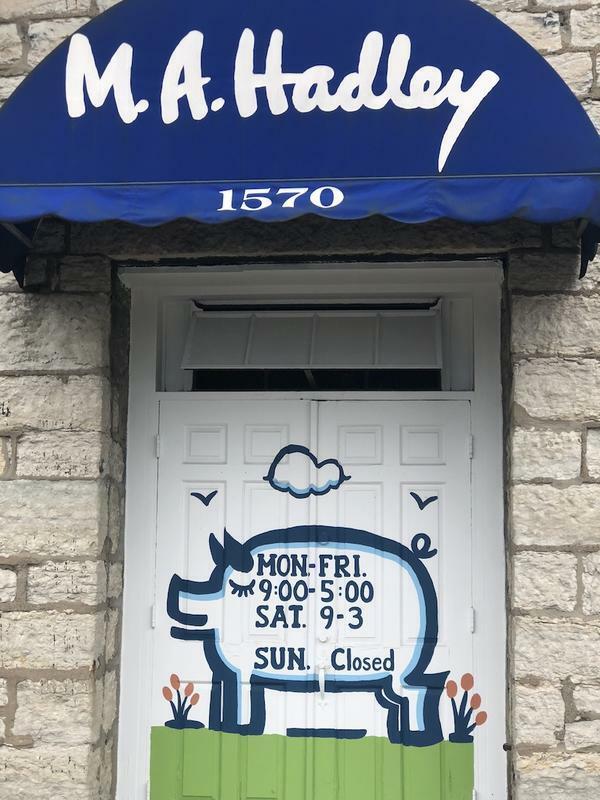 New owners Jerry and Josh Day intend to expand the company’s profile significantly in the near future and are hard at work making that happen as we speak. Take a moment to stop by and say hello, shop for your favorite design and spend a little time with the crew as they continue to make some of the world’s finest pottery! See all the patterns that M.A. Hadley Pottery has to offer! Discover Seng Jewelers in Downtown Louisville, KY!